Compare and order numbers greater than 1 using area grids and a number line. 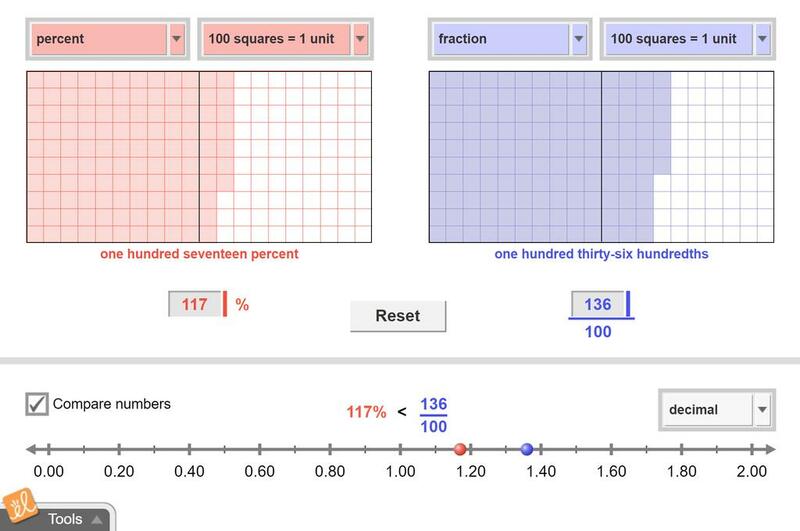 Examine the numbers represented as percents, improper fractions, and decimals. This document is the French translation of the Student Exploration Guide for Ordering Percents, Fractions... (more), and Decimals Greater Than 1. This translation was made possible by Alberta Regional Professional Development Consortia and ExploreLearning. This document is the French translation of the Assessment Questions for Ordering Percents, Fractions, and... (more) Decimals Greater Than 1. This translation was made possible by Alberta Regional Professional Development Consortia and ExploreLearning.